There has been more than one occasion when I have been completely baffled by someone of my acquaintance who seems completely out of touch with right and wrong. In fact, I have heard people say there is no real right and wrong, you decide for yourself what is right and wrong. Hmm. To me it feels like some are trying to trash the timeless. When I was a teenager I remember both my parents and my teachers trying to help me to understand the difference between rules or laws and principles. Have you ever thought about that? So if those are the rules, then throwing the box out of the window – would that be alright? There is no rule against it after all. Seeing those rules or instructions on the side, would you come to the conclusion that it would be appropriate to stand on top of the box to reach something on a high shelf? After all, there is no rule saying not to stand on the box. Or would you feel it acceptable to drive over the parcel with your car? After all, there is no rule, no law saying that driving over the parcel would be a bad thing. 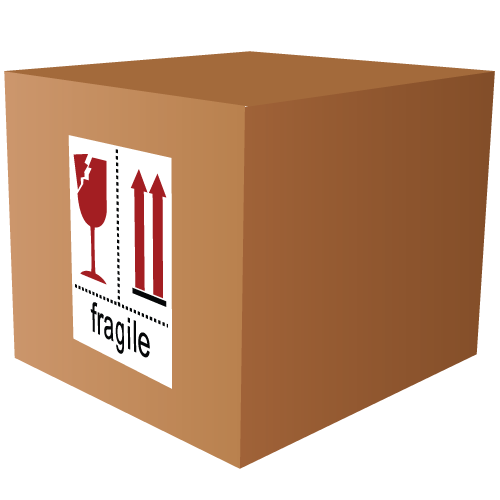 The principle behind the rules on the box is that whatever is inside is fragile. That is the principle on which the rules, instructions, laws are based. Grasping this principle will move one to handle the item with care. You should not need a list of every conceivable possibility. Rules may change, laws may change. Principles tend to be timeless or even eternal. It sometimes frightens me that there is a reluctance to state what is right or wrong these days. Some people seem scared of rules and laws. I wonder. Don’t they understand that rules are based on principles that are unshakeable? If we don’t grasp those principles then we are likely to be living more and more out of harmony with ways that are good for us, that help us to be at our happiest and healthiest. Instructions, rules, laws are based on principles. My parents taught me to stop and think about the principles behind their rules or any rules or laws I came across in life. I should not need to be in doubt over what is right or wrong if I am not aware of any specific rule. If I grasp the principles behind laws and rules, it would be much easier to make wise decisions. What is your opinion on the basis for the rules? Rules are based on principles of truth. For example what is the principle behind the law not to murder? Why is it universally agreed that murder is wrong? Most people grasp the principle that life is precious – it’s value is incredibly high. We cannot pay £/$ millions or billions to buy extra years of life. If we are wreckless with our actions and take risks and cause a fatal accident, there is nothing in our possession we could give to cover the cost of the life that has been lost. There are an enormous amount of health and safety laws that are all based on the principle that life is incredibly precious. So true. Chaos would reign without a rule of law…….however on some occasions it can go overboard such as when governments try to dictate free speech. Maybe we’ve lost that principle with all the monetary fines, though idk what we’d replace them with. Traffic laws, forex, are based on the idea that life is precious so be careful not to kill someone by speeding etc. A speeding ticket costs $500 (I think). But maybe spending a weekend in jail would be more effective, actually TAKING a tiny piece of your life to show you what it means. Probably impractical but even so would make more of an impact. Maybe?